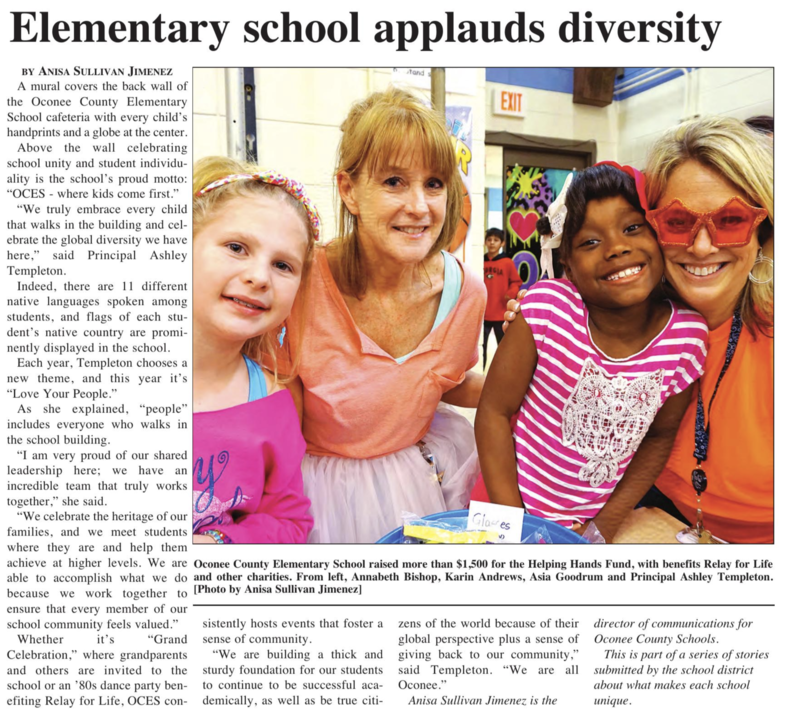 I am Cill White, and I am a third grade teacher at Oconee County Elementary School. I began teaching third grade in 1996 at Smiths Station Elementary School in Smiths Station, Alabama. In 2001, my family and I relocated to Watkinsville, Georgia where I began teaching third grade at OCES. As a teacher, I believe that my task is to set positive expectations in the classroom and treat my students with respect. I want my students to feel confident about themselves through their learning experiences. My husband and I are the proud parents of two adult children, Raley and Molly.